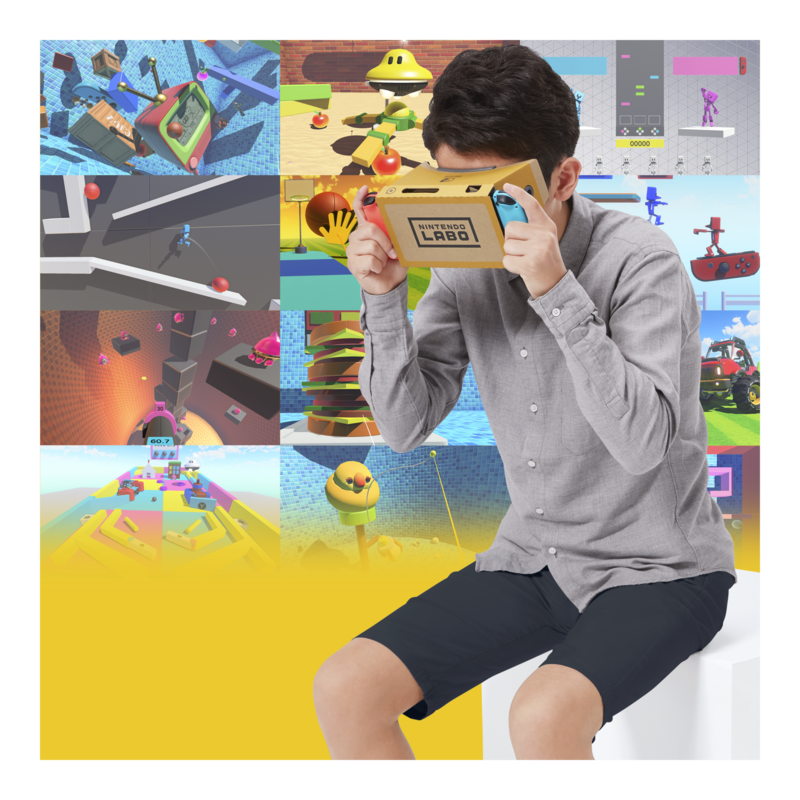 You’ll need a Nintendo Labo VR Kit to take advantage. It’ll cost $40 for the basic version and $80 for the full VR Kit once it goes on sale starting April 12th. The “Super Mario Odyssey” virtual reality experience will consist of three new “mini-missions,” while it appears that “Breath of the Wild” will be entirely playable in virtual reality, start to finish. Nintendo made the surprise announcement on Thursday night that “Super Mario Odyssey” and “The Legend of Zelda: Breath of the Wild” — two of the very best games for the Nintendo Switch — will be getting updates on April 25 that will make them playable in virtual reality. You’ll need Nintendo’s forthcoming Nintendo Labo VR Kit, which asks players to construct a basic virtual reality headset accessory for the Switch console out of cardboard. It’ll be available on April 12 in two versions: A $40 basic kit that includes the headset a blaster accessory, and a basic alien-shooting game, and an $80 version with more accessories to build and games to play. Nintendo says that the virtual reality update for “Super Mario Odyssey” will entail three new “mini-missions” in some of the game’s established areas. It appears that “Breath of the Wild,” however, will be fully playable in virtual reality, with Nintendo pledging that it works with your established game save.